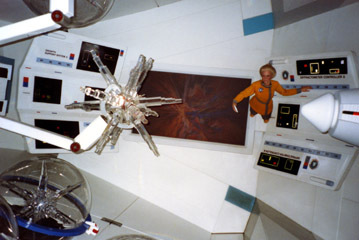 Photo Memories #12, Epcot Center's Horizons Pt 4. 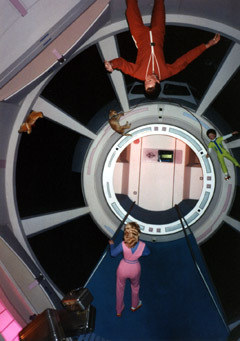 Welcome back to Photo memories #12, part 4 of Epcot Center’s Horizons. This is the final edition of the series… for now. 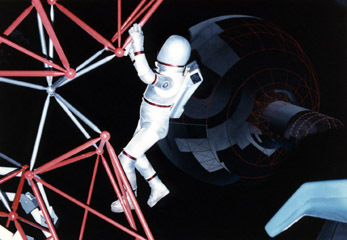 The space station Brava Centauri.This scene really blew me away! 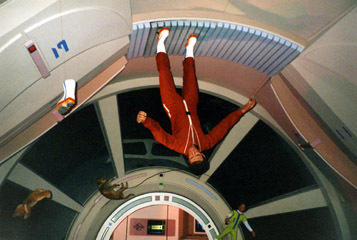 It just seemed like such a cool concept to live in space. 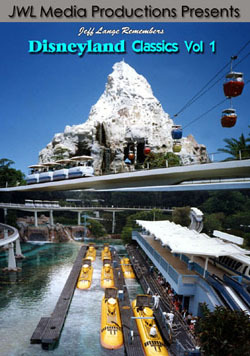 I always wondered how they filled the swimming pools up there. 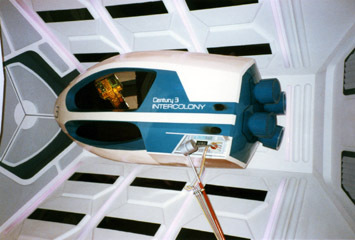 The Century 3 Intercolony Spaceship. It looked sporty like a space motorcycle. 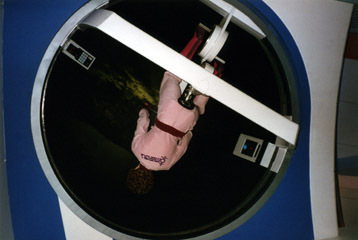 I think the virtual excercise machine above has come to exist in real life. Sure makes walking Napoleon (the dog) a lot more interesting. Father never seems to manage to get that shoe! 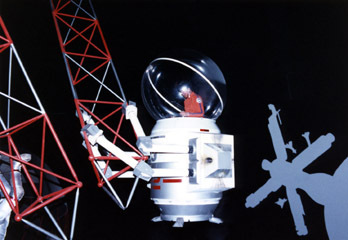 “Just think, materials from space for all kinds of industries back on earth.” A final goodbye to a wonderful old friend. 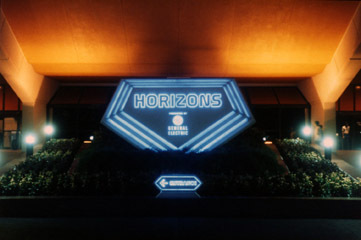 Horizons 1983-1999. 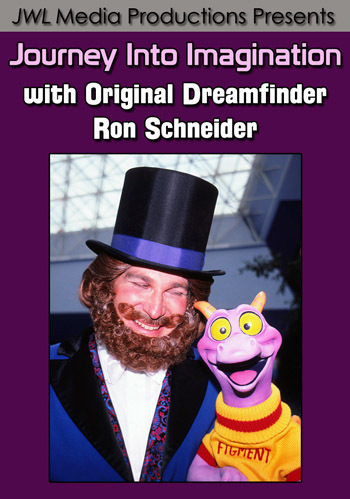 Production Update: I am in the final stages of wrapping up my next DVD title “Jeff Lange Remembers Epcot’s World of Motion 25th Anniversary Collectors Edition“. 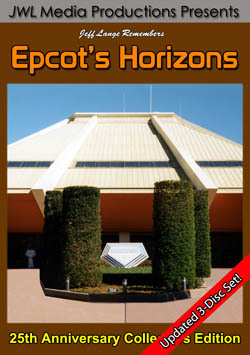 It is going to be a 2-Disc set packed with features! 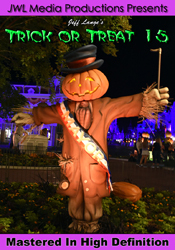 Please check back later this weekend for this all new release! As always, if anyone wants to request a future DVD idea, Photo Memory topic or comment on anything, just drop me a line at suggestions@JeffLangeDVD.com.